The Borgward Group AG concluded the market launch of its premiere model BX7 TS with a marathon drive, the Borgward EU-Asia Grand Tour, that ended in Germany. A total of six SUV models of the brand completed the “torture tour,” driving a 12,000-kilometer course that took them from the company’s ultramodern production plant in the Miyun district of Beijing to the Borgward headquarters in Stuttgart. 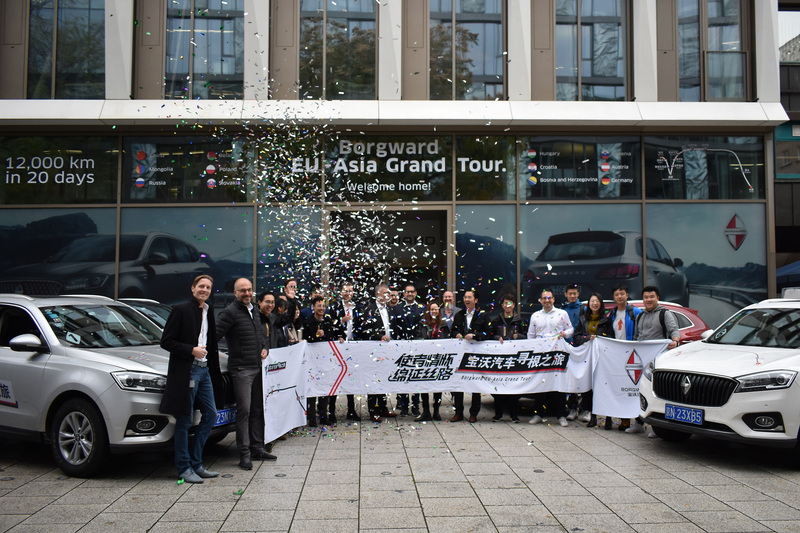 Representatives of many international media accompanied the SUVs from the start of the tour on October 10 to today’s crossing of the finish line — an assignment that enabled them to experience the Borgward models’ robust performance at first hand. Through rugged terrain, dusty and sometimes very hot stretches of desert, sudden onsets of winter that covered roadways with ice and snow, and endless traffic jams in major cities such as Beijing and Moscow, all of the Borgward models completed this extraordinary transfer drive without any errors or accidents.